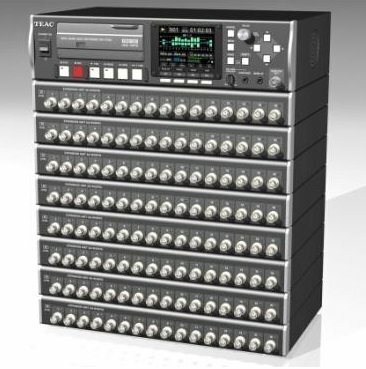 The WX-7000 Series, a new Portable Instrumentation Data Recorder family of products designed to provide multi-channel high-bandwidth data recording for testing and monitoring requirements in aerospace, defense, electrical power generation, underwater research, rail transportation, automotive, heavy machinery, and acoustic and vibration-based industrial applications. 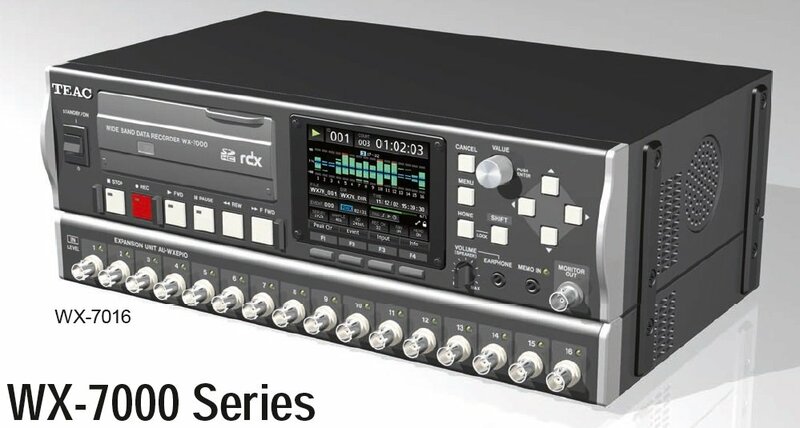 The new WX-7000 portable data recorder utilizes a high data capacity RDX® hard drive or a solid-state flash memory SDHC card. The WX-7000 flexible memory design provides the ability to record up to 1TB of data with the RDX drive, and 32GB with the current industry standard SDHC flash memory card, respectively. 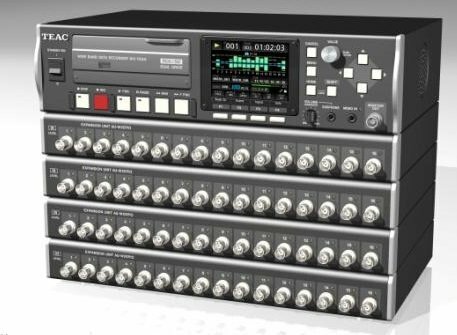 The current max data capacity of 1TB provides recording for more than 38 hours using 16 channels recording simultaneously at a 192KHz sampling rate (80KHz Bandwidth per channel) with 16-bit resolution. A full-function control panel and display on the face of the WX-7000 Series provides for complete portable stand-alone operation. Additionally, the system is equipped with a Gigabit-Ethernet interface for remote control, monitoring and recording via a PC with the included WXNavi application software. WXNavi, in addition to providing parameter set-up of the WX-7000 from a PC, allows users to view and edit recorded data files, and convert TEAC files to other file formats for fast data analysis by available expert analysis software applications. *RDX is a rugged high reliability hard-disc based storage system with removable cartridges, with a high data capacity. 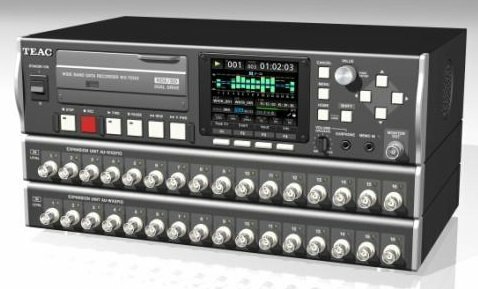 The TEAC WX-7000 series is an excellent replacement to the SONY SIR-1000 series, featuring better bandwidth, cheaper media and easier data transfer / extraction.